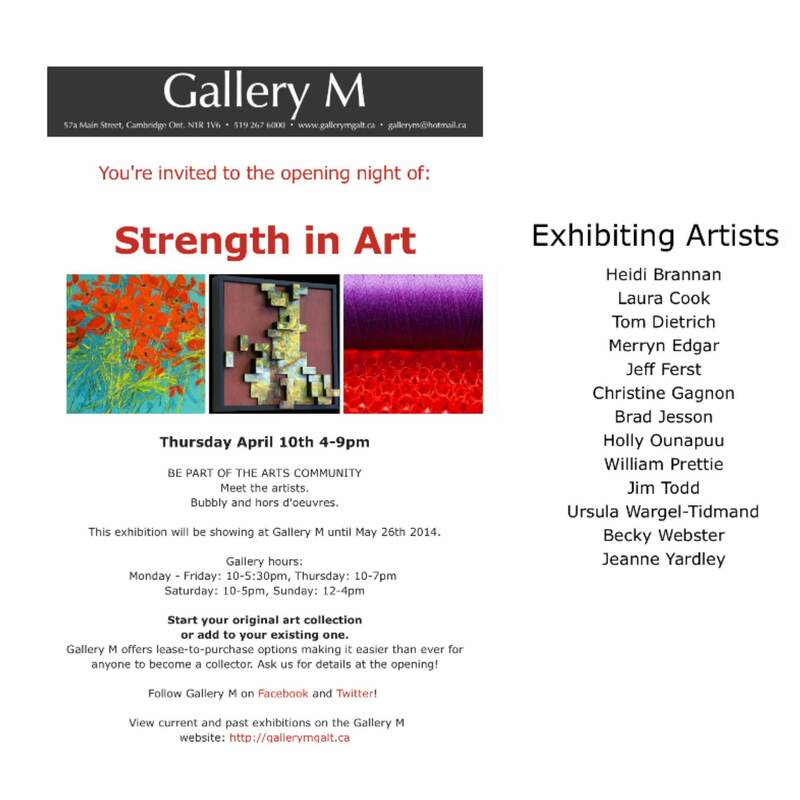 Drop in and check out this gallery in Cambridge, Ontario! Several of my pieces are included in this show. I’ll be there April 10th for the opening reception!